Despite what you might think, there are a number of benefits that can be gained by scheduling a Miami FL air conditioning installation this winter. For most consumers, winter is an unlikely time to think about cooling equipment. Savvy property owners, however, understand that planning ahead can help them cut their spending on A/C systems. There are actually a number of advantages that you can gain by replacing an air conditioning system during the cooler months of the year. Preparing in advance is a great way to stave off future issues with your home AC equipment. This article will review several reasons why you should take care of your air conditioner ahead of summer. the present is the best time to buy one. When you procrastinate, you risk missing the off-season discounts that will cut your overall A/C costs. If your current unit is nearing the end of its lifetime, then there is a very high likelihood that it will breakdown. This usually happens when having a functional air conditioner is the most important. Buying an AC unit and professionally installing it during winter gives you ample time to get ready for the high temperatures of summer. When you start shopping for an air conditioner in winter, you will have more time to learn all about the available options. You can compare the prices of different air conditioning system types and start defining your needs. Moreover, you will have the chance to speak with several, local air conditioning companies. You can determine which A/C system is going to best for your home. This will, additionally, give you the chance to compare estimates from multiple businesses in order to get the absolute best deal. Be sure to hire a trusted HVAC company in your area. Getting this equipment properly installed is vital. It will affect the overall performance and efficiency of your new system as well as your energy bills. By planning in advance, you can confidently choose an air conditioner installation service and you can also prevent a number of costly mistakes. 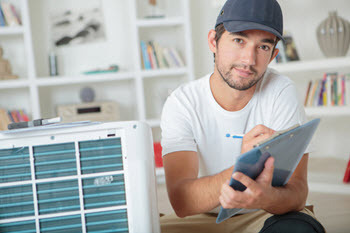 the demand for professional AC installation services is significantly lower. This means that you have the top pick of reputable HVAC services and can get timely solutions. Planning ahead is far better than attempting to schedule an air conditioning unit installation during the chaotic, peak season. You can pick a service time that works for you and a time that's not so hectic for your provider. This will allow your contractor to correctly install your system. The costs of cooling equipment installation are significantly higher in summer and spring. Scheduling these services during the off season can save you a considerable amount of cash. Therefore, you can invest in other areas of your property. Quality air conditioning systems are costly. Purchasing a cooling system outside of the peak season will give you access to lower central air unit prices. Air conditioners tend to cost the least throughout the months of winter. This is why winter is the best time to shop for great AC deals. As summer draws closer, the costs of buying cooling equipment and its installation will invariably increase. 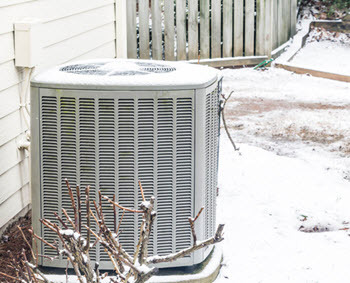 Adding a new air conditioner to your winter budget will also free up some cash in the summer. Once you've taken care of installing your AC system, you'll have money to spend on your favorite, summertime activities. Best of all, you and your family can enjoy a cool home all throughout the summer. Ease of installation, lower costs, and the ability to get everything you need make it smart to shop for your A/C equipment in the winter. This is all the more true if you need to replace both your air conditioning unit and your heater. There are times when the combined average cost of furnace and air conditioner replacement together are much cheaper than having these projects performed separately. Certain homes have special requirements for their AC systems, which include homeowners who are interested in the cost to install central air with no existing ductwork. No matter what, it's best to speak with a professional before investing in anything as important as a new air conditioner. Get in touch with Result Home Services for reliable AC service. Our contractors are NATE-certified and they can help you find the best AC unit for your home cooling needs. Moreover, we can secure this unit at the best possible price. You can trust us to prioritize energy efficiency, comfort, reliability, and the quality of your indoor air. We offer free estimates. You can turn to us for sound advice if you want to install new cooling equipment ahead of summer. Schedule your appointment now by calling our office today.